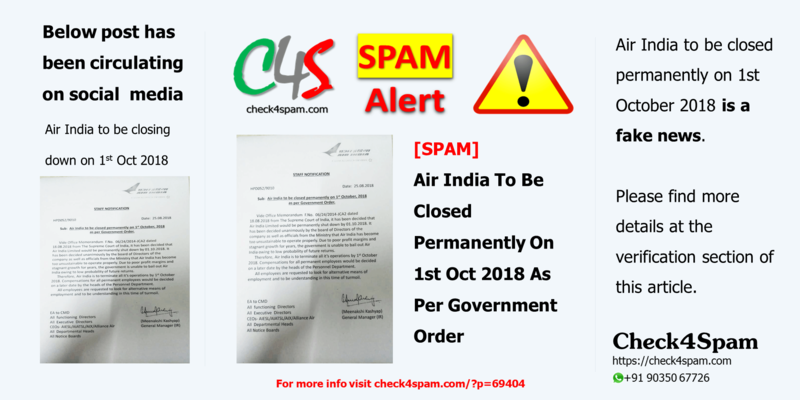 Air India to be closed permanently on 1st October 2018 is a fake news. Please find more details at the verification section of this article. On 25th August 2018, the message started circulating on social media @Whatsapp, disturbing the minds of people working in Air India organization. Employees were warned about losing their respective jobs. 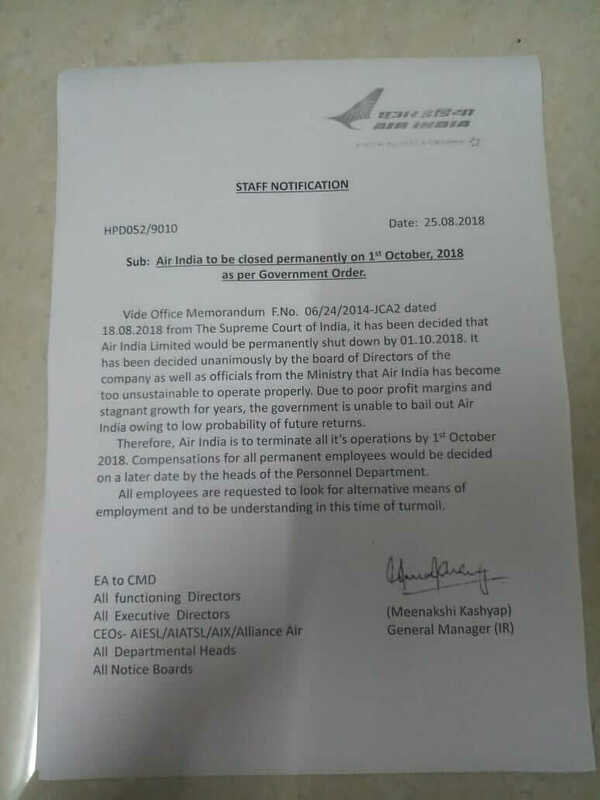 It claims that according to the Memorandum from Supreme Court of India, Air India would stop all its operations from 1st October 2018. It is claimed that decision has been taken by the Board of Directors of the company and the officials from the Ministry, due to poor profit margins and stagnant growth since years. It also says that the government does not expect good future returns from the company.